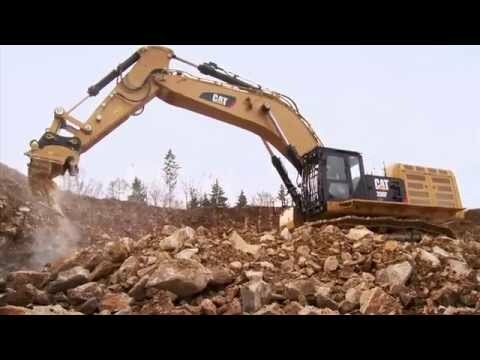 The 390F is an efficient, productive excavator. With its quiet operator environment to keep you comfortable, service points that make routine maintenance easy, and multiple Cat attachment options to help you do a number of jobs well, you won’t find a better, more fuel-efficient excavator in its size class. • The C18 ACERT™ engine meets U.S. EPA Tier 4 Final, Korea Tier 4 Final and EU Stage IV emission standards. • Cat® electrohydraulic system enables the machine to consume less fuel than the standard 390D L while delivering the same high level of production. • The emissions technology is transparent – no action required from the operator and no stopping for regeneration. • Automatic engine speed control lowers rpm based on load for reduced fuel consumption. • Power modes help you more actively manage fuel consumption. *Product Link™ field results. • Cat Connect technology solutions increase production, minimize operating costs, and optimize return on investment by offering LINK, GRADE, and DETECT technologies. • Cat Payload brings weighing to the cab so you can work more productively and deliver accurate loads with confidence. • VisionLink® provides wireless access to machine operating data such as location, hours, idle time, fuel usage, productivity, and diagnostic codes to optimize performance. • Cat Grade provides real-time cut and fill information to assist you in attaining grades and slopes more quickly and accurately. • Routine maintenance items like grease points and fluid taps are easy to reach at ground level. • The side-by-side cooling system enables easy cleaning. • Multiple S∙O∙S℠ ports and pressure diagnostic taps help prevent maintenance downtime. • The cab is more comfortable and 3 dB(A) quieter than 390D L. • Joystick consoles and armrests are adjustable. Seats are adjustable and feature air suspension and heated and cooled options. • The LCD monitor is easy to navigate and programmable in 44 languages. 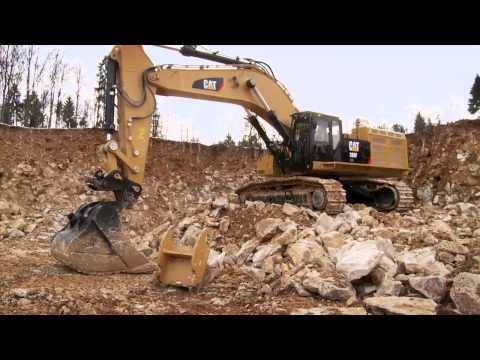 • Demolition work is quick and easy with a Cat shear or multiprocessor. 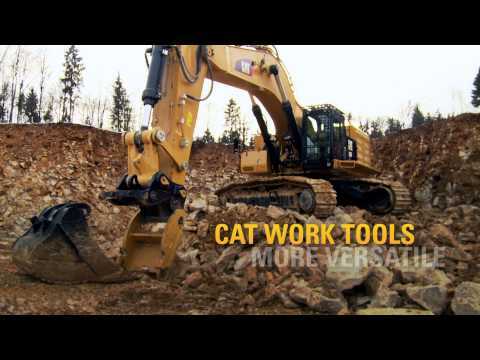 • Quarry work is no problem with a purpose-built Cat bucket and hammer. • A Cat coupler lets you swap between attachments in seconds without leaving the cab. • Tool control option remembers pressures and flows for up to 20 tools to enhance uptime. • Booms and sticks are built for long service. • Box-section structures with multi-plate fabrications, castings, and forgings are used in high-stress areas. Track shoes, links, rollers, idlers, and final drives are built with high-tensile-strength steel. • Greased track link between pins and bushings increases undercarriage life and reduces noise. • Smart refuel fills the machine quickly from an external fuel source; it automatically stops when the fuel tank is full or the fuel source is, eliminating guess work and premature pump wear. • The rearview and sideview cameras enhance visibility to help make operators more effective and efficient. • Large serrated steps, extended hand and guard rails, and anti-skid plating will help you get in and around the machine. Take a look at the 390F side by side with other models. Browse through these photos and videos for a closer look at the 390F and what it can do for your operation. Wherever you want to go from here, the 390F is ready. You can get in touch with us in a variety of ways. Check out our inventory of new, rental and used equipment. Connect with your local dealer, ask our experts for advice or read what's happening in the customer forums.